Today, His Majesty The Sultan of Selangor attended the Selangor Hari Raya Open House held at the MPAJ field in Pandan Indah. In attendance was the Menteri Besar of Selangor, Azmin Ali. 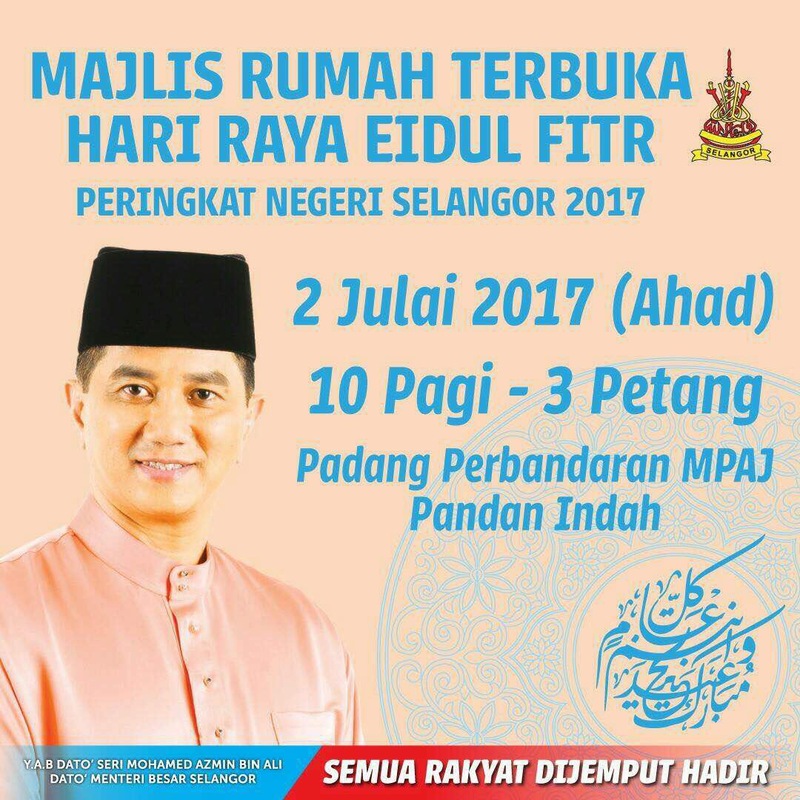 The event invitation to the Selangor people was posted by Azmin on his Facebook page on 29 June 2017. As with other states, Exco members, ADUNs and Members of Parliament are expected to attend. His Majesty the Sultan attended the event together with Her Majesty The Tengku Permaisuri, and His Royal Highness The Raja Muda. 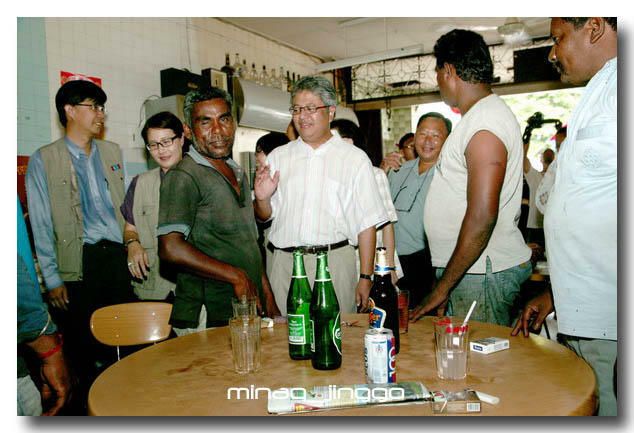 Where were the Selangor Excos, ADUNs and MPs? Let us for instance try and locate Sivarasa Rasiah who was chided by His Majesty The Sultan for giving a ceramah in a mosque was nowhere to be seen. His last Twitter post was on the 18 June 2017. Maybe he was away in another mosque somewhere in Sarawak, giving a ceramah judging by his Twitter display photo. 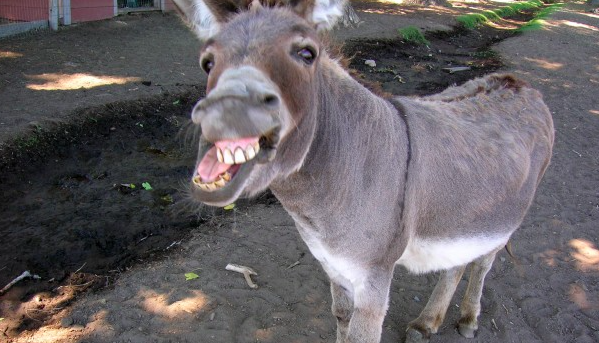 Another famous for nothing MP from Selangor is Pony Tua. He too seems to be missing in action from the Selangor Open House, which is an event held for the Selangor people to celebrate Hari Raya together with His Majesty The Sultan of Selangor. 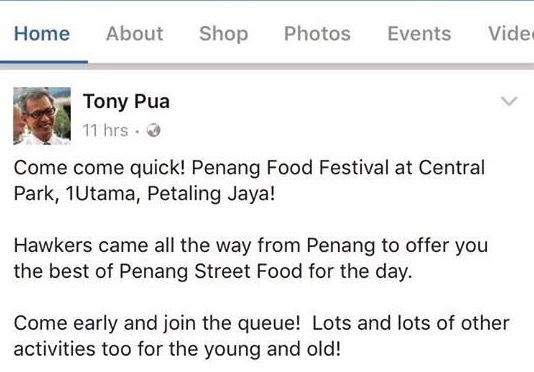 It seems that Pony Tua got all excited about another event held on the same day that has nothing to do with Selangor at all. As a matter of fact, it has to do with Pulau Pinang. Pony Tua was not promoting the event where HIS Sultan is attending, but was in fact promoting Tokong’s event! Although Pony Tua did not specifically mention anything about it being Tokong’s event, take note that it was held at 1Utama Shopping Complex. There was another event, also held at the 1Utama on the same day as the Selangor Hari Raya Open House. Wow! 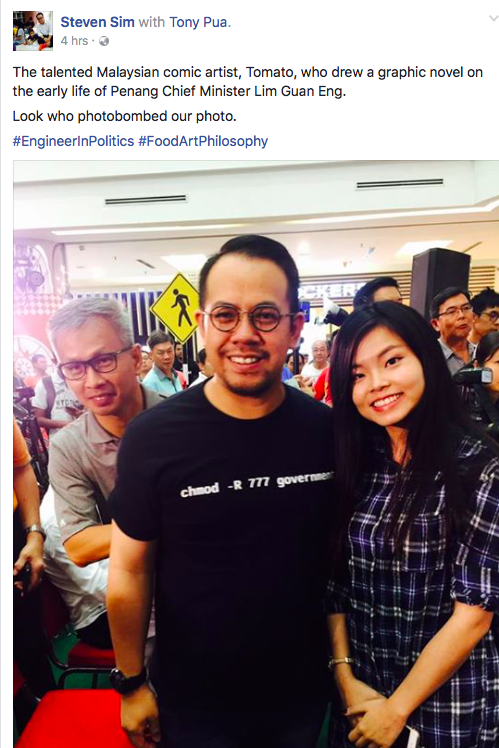 So, Tokong was in Petaling Jaya signing books instead of answering allegations made by the Barisan Nasional. 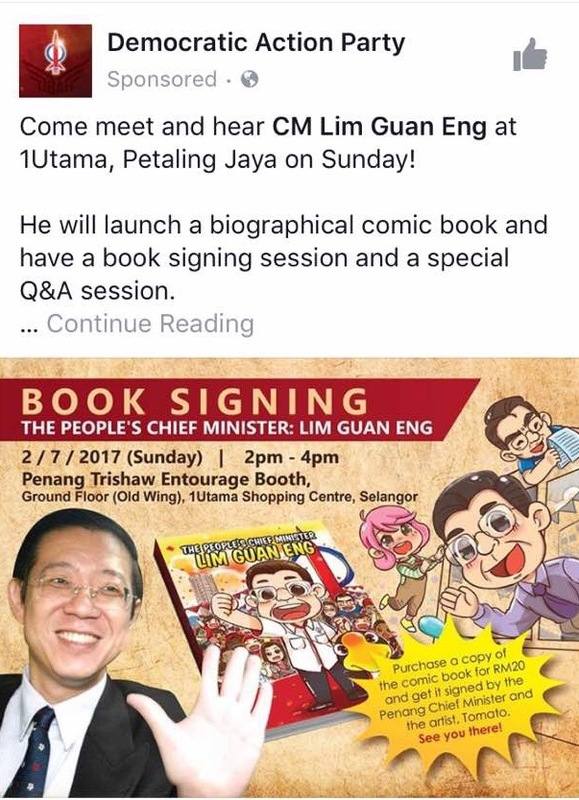 The fact that the book signing was held at 1Utama, it can be safely assumed that Pony Tua was also there to support Tokong’s event instead of attending the Sultan’s event. Some may say that it is coincidental, but Tokong and his artist called Tomato were there to sign the comic books. And guess who were there? Steven Sim, the MP for Bukit Mertajam who is bad at Tai-Ji, takes a photo with Tomato, and was photobombed by….PONY TUA! 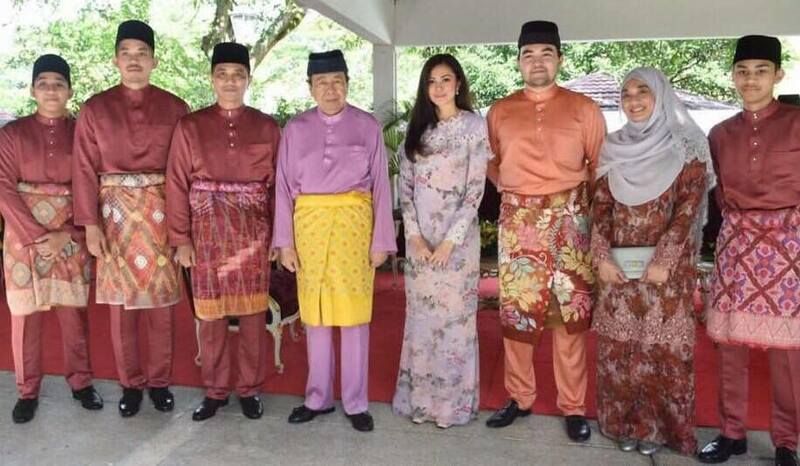 So, Pony Tua was supporting the event for the Tokong rather than attend the one with the Sultan. After all, it is the DAP that is in control of the Selangor State Government, not PKR as believed, so why should Pony Tua care? 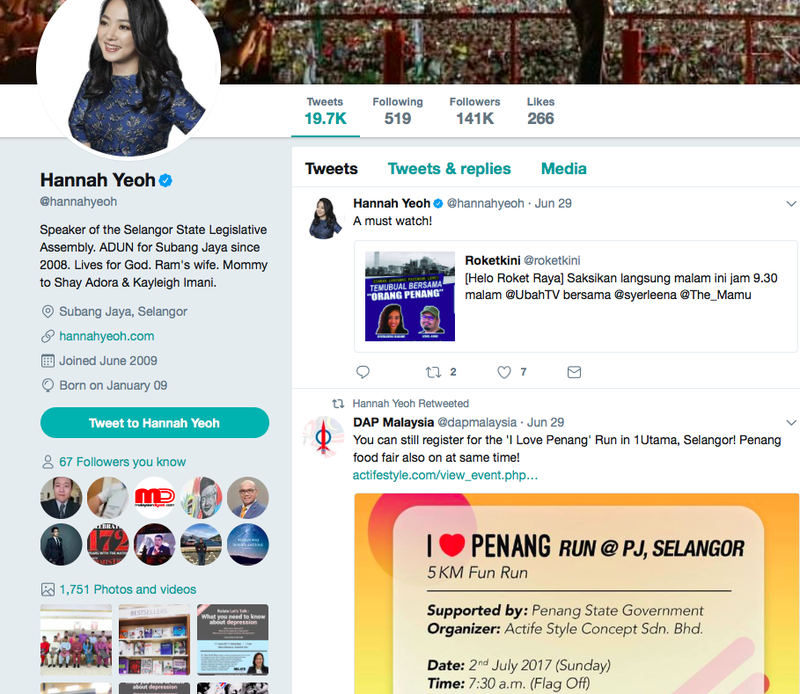 Let us now check on the Speaker of the Dewan Undangan Negeri Selangor, Hannah “Goat of God” Yeoh. Since she is the Speaker of the Dewan, she should be at least promoting the Hari Raya event as did Azmin Ali on 29 June 2017. Let us check her Facebook to see if that did happen. 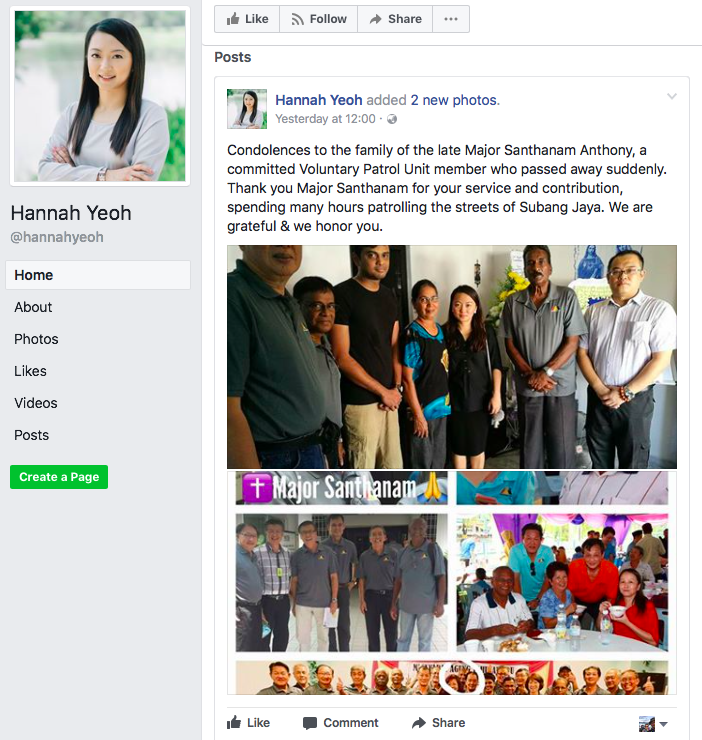 Hannah Yeoh made no mention about the Hari Raya do on Facebook. Where was she? Hannah likes to show those who voted for her events that she attended or promoted not just on Facebook but also on Twitter. Let us now check her Twitter account. Perhaps a Hari Raya event is unChristian for the Goat of God. She wants to make sure that if Jesus had died on the cross for her, so should she. So what was this I Heart Penang Run event? 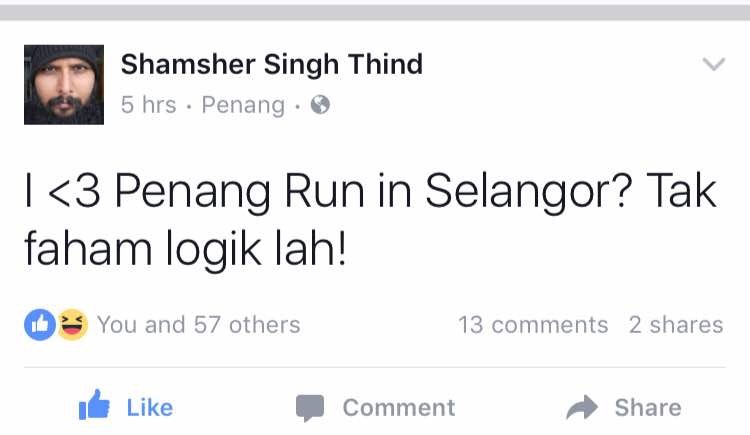 Apparently Tokong can no longer con the Penang Lang so he needs to con the Selangor people as well. 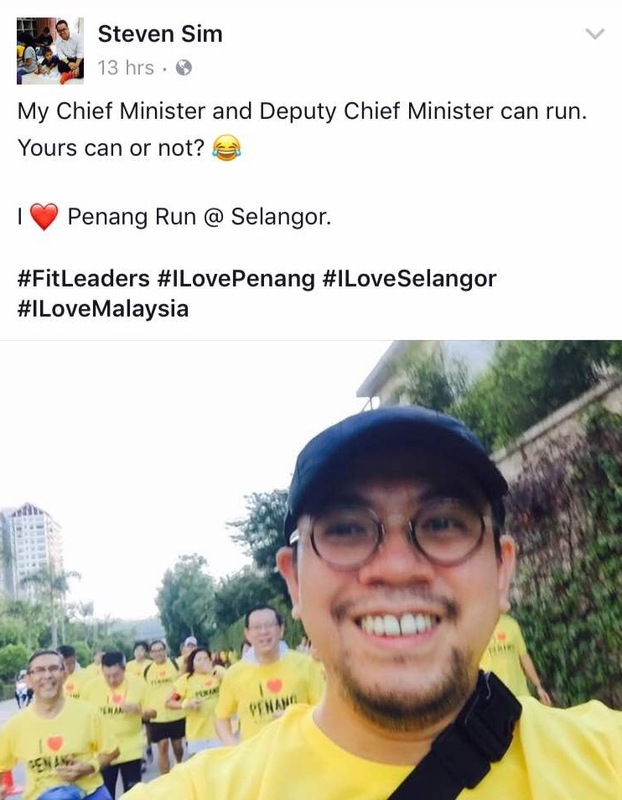 So, this morning, he brought his Pulau Pinang people down to lead the Selangorians to run with him. Not only that, these suckers were fleeced by the Robbing Hood called Tokong by RM25 per person! Isn’t it odd asking Selangorians to pay RM25 to HEART Penang? 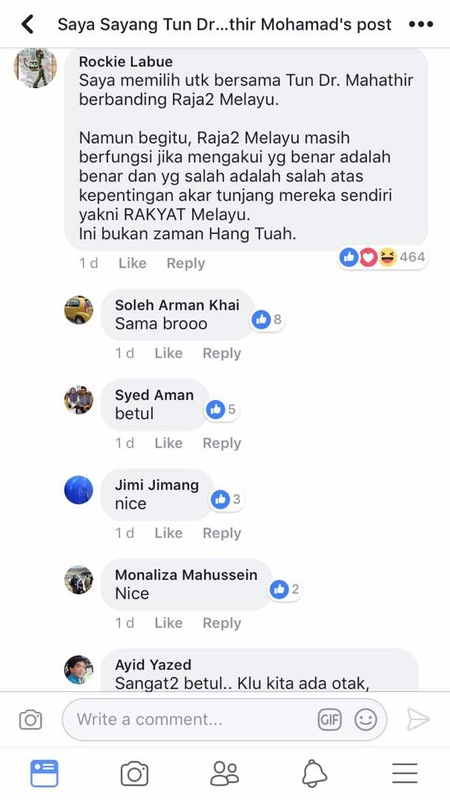 Why not organise only in Pulau Pinang? 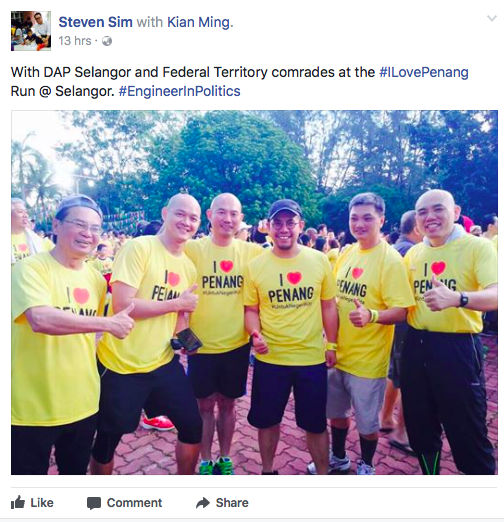 Steven Sim above was not just in Petaling Jaya for the Tokong do at 1Utama, he also participated in the run…with another Selangor MP, Ong Kian Ming! 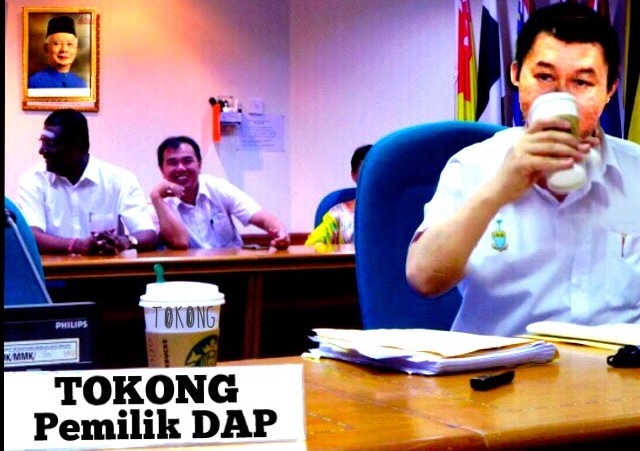 So, if all DAP MPs from Selangor was running for Tokong, who attended the Sultan’s event? Truth be told, the DAP MPs and ADUNs of Selangor do not respect His Majesty The Sultan of Selangor. To them, Tokong’s position is higher than the Sultan’s. Tokong is the CON-SULTAN. So, dear Steven, our Menteri Besar and other Chief Ministers do not feel the need to run. 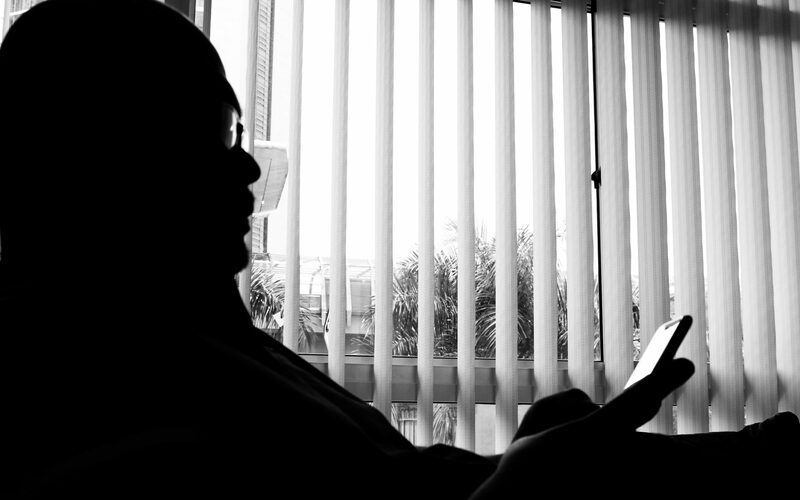 They have not done anything wrong, have not been charged in court for corruption, and do not run away from questions and allegations like the Tokong does. And I am still waiting for him to answer the questions and allegations made by the Barisan Nasional against him. Until then, someone should keep the coffee warm for him.